Sainsbury's has revealed total retail sales for the quarter to 14 March 2015 fell 2.7% amid "challenging" conditions, though boss Mike Coupe said clothing, convenience and general merchandise sales were strong. Despite the slump, over the quarter Sainsbury's said it had also seen growth across the food business with an average uplift of 3% on products where it had made price reductions. General merchandise and clothing "performed strongly", up 6% and convenience remained "strong", up 14%. 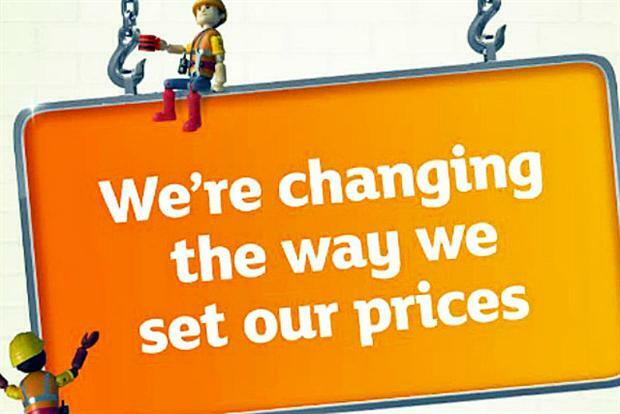 Coupe said 1,100 prices had been reduced since the business announced a £150 million investment, which he said meant Sainsbury's price position "relative to major competitors" had "never been stronger". He said: "As we have reduced prices and simplified our promotional offer, we have seen like-for-like transactions grow in the quarter as new customers are discovering the great value we represent. "We have implemented our Value Simplicity programme, which is designed to replace one-off promotions with every day, lower prices. For example our ‘3 for £10’ offer on key meat, fish and poultry lines has been replaced by regular lower prices on each individual product. "This has been well received by our customers and allows them to budget and shop more conveniently." Sainsbury's sales dropped 2.5% over the previous quarter, its worst Christmas for a decade. In January the business announced it would axe 500 head office and store support centre jobs in a cost cutting drive.